In the past I have been asked to do more stories about the technology and rules involved in NASCAR so that the new fans, and even some of the older fans, know more about the cars they watch every week and the rules that govern them. 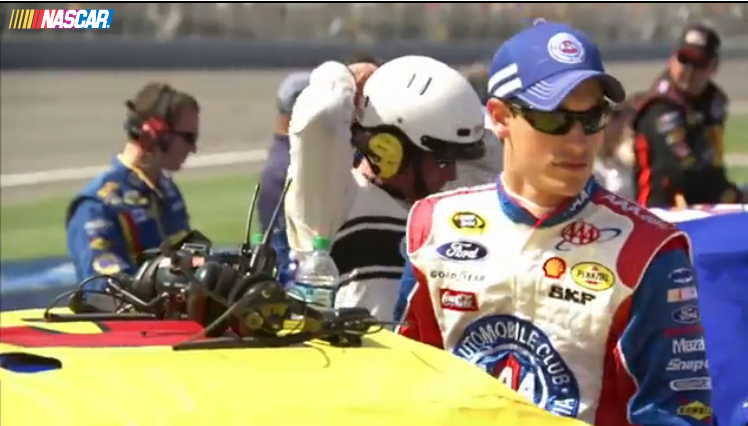 So over the next few weeks I’ll be giving you, free of charge, a lesson in NASCAR Tech and Rules. 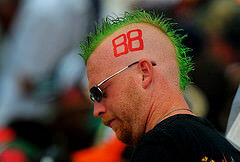 Pull up a chair, sit down, and don’t distract those around you as NASCAR 101 is about to begin. Specs of the Sprint Cup Car are after the jump. Just so you can get an idea as to the difference between a Sprint Cup Car and the version you’d drive away with from your local dealership follow this link to the specs of a 2010 Chevy Impala and don’t forget to click on thedimensions link while you’re there as you’d be surprised at how close the dimensions of the Sprint Cup Car are to the factory production version ( ie. the wheel base is only different by 1/2 of an inch). 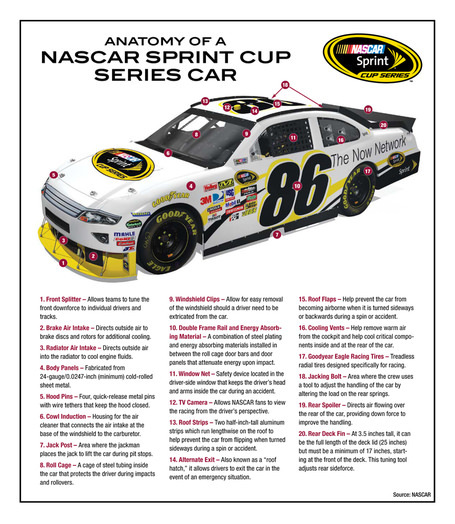 Next NASCAR 101 Post: Anatomy of The New Nationwide Car – watch for it soon.